We are SO excited to bring you our first LIVE wedding photography image critique! This first of twelve monthly critiques will focus exclusively on WEDDING DETAILS. The critique will be led by myself, Susan Stripling, and I am so thrilled to be bringing this to you on March 23, 2017! One of the best things I ever did for my business and my growth as an artist was to submit my images for a wedding photography image critique. It’s a scary thing, putting your art in front of another person and asking for feedback. The first time I ever did it, I was terrified. I got my feelings hurt. I got defensive. Once I calmed down and moved forward, I realized it was the best thing that could have possibly happened to me. I took the critique to heart, moved forward, and allowed it to help me. As one who has had my images critiqued on an annual basis for years, and then become the person giving the critiques, I know how it feels to be on the receiving side of criticism. It can be scary, and the prospect can be daunting. Know that I understand how you feel, and strive to give critiques that come from a place of deep love for the craft of photography. Each image will receive my full attention, and my full respect. After this critique, you’ll be armed with practical tools and tips to improve your image-making and craftsmanship as a photographer. I am so excited to bring that to you. 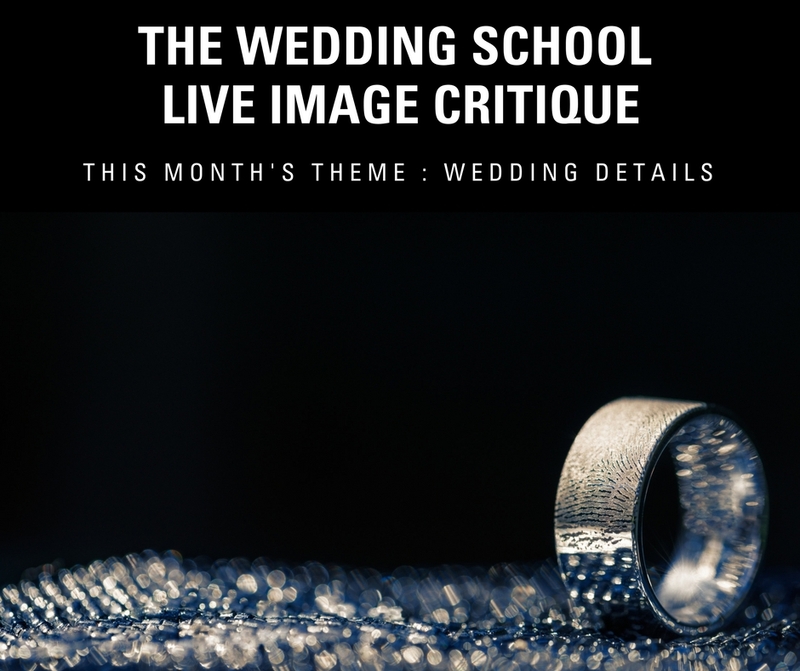 This live wedding photography image critique is exclusive for members of The Wedding School only. If you’d like to join us, just click here! The critique will be put in our Learning Library once it’s over, so if you miss the live broadcast you can rewatch it at any time. If you’re a member, come learn how to submit your image for this critique in our Facebook group (which is open to non-members as well!). We look forward to seeing all of you online on March 23, 2017!